Awards & Memberships - EXCET, Inc.
2007 Stevie Finalist. Best new company. In recognition of an outstanding achievement in business. 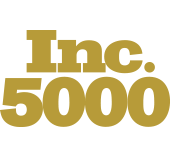 Excet was honored as one of the 500 fastest growing companies in the United States by INC Magazine. Excet made the list as number 329 overall in 2011 and number 293 overall in 2012. In addition, Excet is the 41st fastest growing Government Services provider and the 31st fastest growing company in the greater Washington DC metropolitan area. Excet encourages all of its employees to become members of prominent industry professional groups to maintain both the company’s top-of-mind status amongst industry leaders and mentor the development of new entrants to the industry. With a heavy focus on technology-driven organizations, Excet personnel hold memberships to organizations such as The American Society for Microbiology, The American Chemical Society, The American Institute of Chemical Engineers, and The National Association of Corrosion Engineers. Our senior staff holds adjunct faculty appointments in major universities and are prominent in national professional societies.